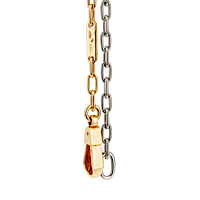 The chain link two tone gold necklace from Pomellato is made in 18kt yellow and white gold. 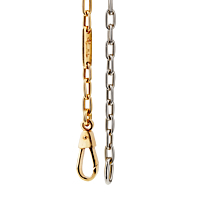 Large oval classic links, finely crafted in both colors of gold, are equally represented on the chain. The links diminish in size and are finished with a solid, oversized clasp. Necklace Width .15" - .31"